The species is widespread in much of the southern half of Britain, but not recorded north of Westmorland. It is widespread in western and central Europe. The species is found in a variety of wooded habitats including broad-leaved, mixed and coniferised woods, thickets, hedgerows, scrub, gardens and it sometimes comes into houses. It can be swept from woodland herbage and the lower branches of trees and bushes. 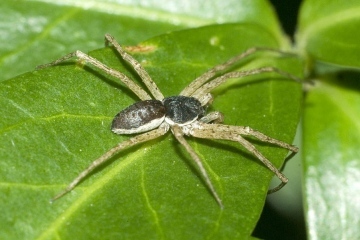 The spider appears to over-winter in litter, especially in leaf litter and the litter which accumulates at the bottom of hedgerows, in tree boles and at the base of branches. Adults of both sexes are found mainly in early summer, females occasionally persisting into the autumn and winter. Single males have been recorded inside telephone boxes in December and February (Crocker & Daws Leicestershire data; J. Crocker, pers. comm. ).